We once again took part at the prestigious television program called “Stars of Science” in Doha, Qatar. Stars of Science is an original TV format, initiated by Qatar Foundation, which encourages the Arab world’s next generation of aspiring science and technology innovators. In this sixth season, 12 candidates are challenged to prove their resourcefulness during different stages of the innovation cycle with the support of engineering and design. This unique TV show is always looking for getting spectacular acts from all over the world. This time, they chose from our entertainment agency ELECTRICITY MADNESS. 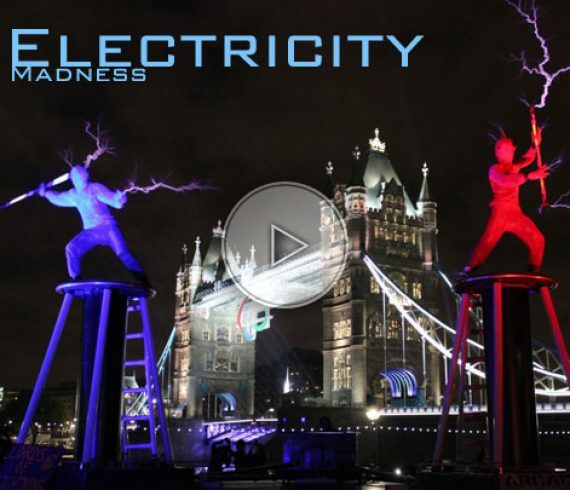 These crazy performers present a performance where they play with high voltage electricity! We would like to thank them for having flew all the way to Doha, Qatar and to our client, the producer of this amazing television show, for his trust and confidence.